How about using stamps to promote a stamp show? 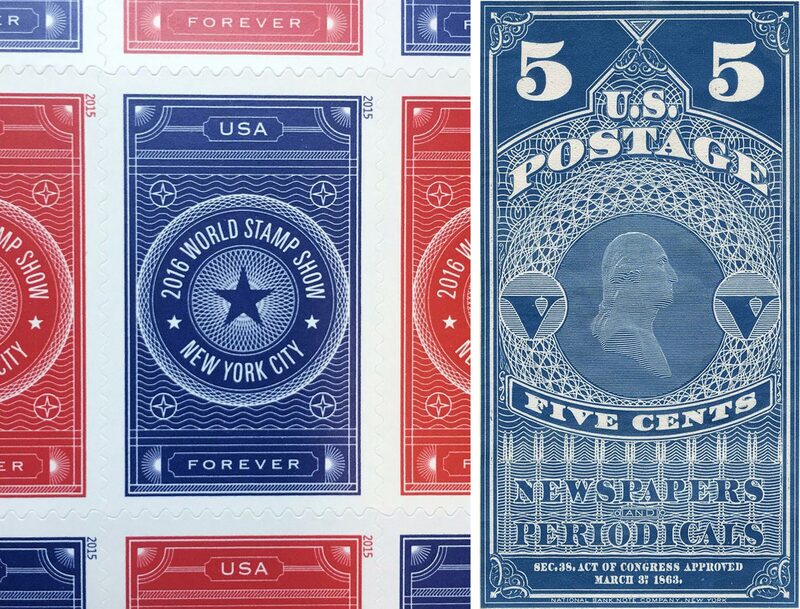 Michael Dyer designed these red and blue “Forever” stamps with art direction by Antonio Alcalå. First issued last week, their design was inspired by 1865 oversized newspaper stamps like this five cents example featuring George Washington. The World Stamp Show will be in NYC next May 28-June 4, with lots of graphic design on display. Maybe we’ll see you there!